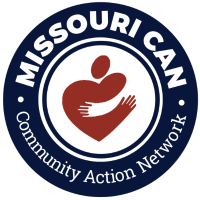 Yes, Missouri CAN – Dec 2016 | Adsystech Inc.
Missouri Community Action Network (Missouri CAN) has announced its 2017 Statewide Conference! Being veteran exhibitors to this annual conference, Adsystech looks forward to participating next year as well. During this three day event, individuals and groups get to take advantage of networking and training opportunities, this year’s theme titled “Becoming One Community Action.” It’s exciting to learn how Missouri CAN is making a difference in the lives of their friends, neighbors and family members struggling every day with economic insecurity. Faming workshops, keynote speakers and action agency skits; this is definitely an event to look forward to. Adsystech is proud to be part of such an extraordinary effort.